Battleship is a bloated masterpiece that has favorable loop holes but ends up utterly entertaining due to its superb visuals and effects. 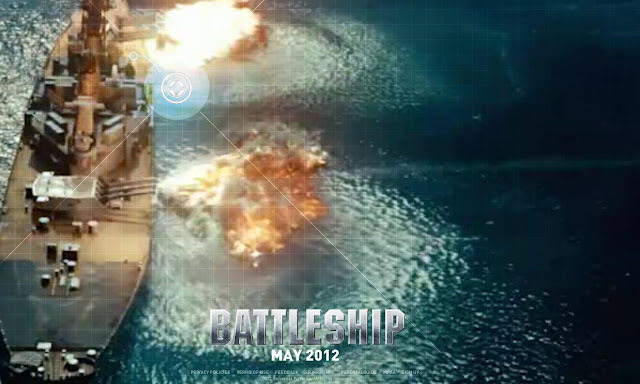 So far, Battleship is one of the most expensive B-Movies that is Transformers-wannabe and Alien-inspired flick. The strength of the movie lies on its solid Editing and Cinematography. Hatts off to the film's visuals as realistic war perfectly combined with science fiction characters. Like, the whole film is a roller coaster of impressive warships, weapons and alien powers. I really loved the action scenes during the combat of aliens and US Navy War ships. You could really see and feel that the Director has invested on its Production value. 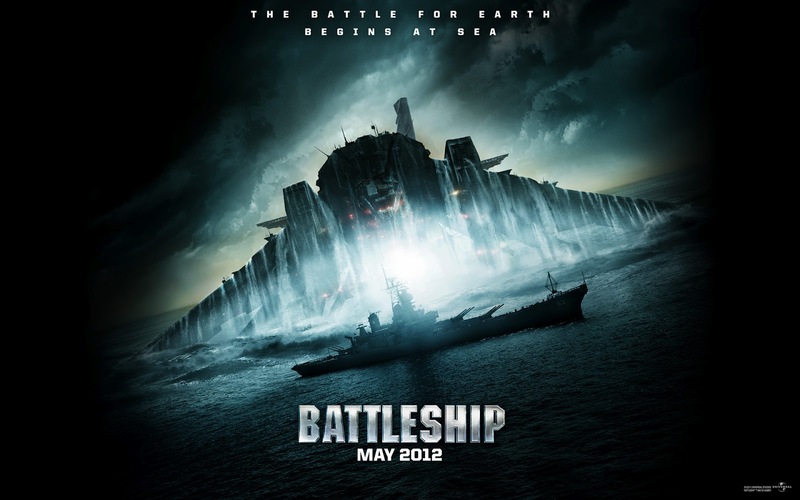 On this aspect, Battleship makes itself distinct from all other Alien-inspired slash End-of-the-World themed flicks as it divert its plot to utilizing the best weapons, technologies and ships to fight againts gigantic alien-operated space ships and devices. I just had a little problem with the Climax, I find it to be cut-short. I did not expected it to end that way. I mean, the Director failed to give a Climax that would really put a solid mark on the film's greatest victory in the end. On the other hand, I see loop holes in the film's Plot and storyline. It is a little bit slow at first and shortcuts were kinda evident the whole time. Although the film took time to establish a story, I still believe that some scenes were uneccessary. It started with a premise of the Hopper brothers joining both together in the US Navy. Then, sopported by a Naval Exercise in time of the sending of transmission to outer space for possible planets and discoveries. Of course, ending up with a response transmission from an unknown vessel operated by aliens or extra-terrestrial beings. The film indeed lacks substance. At most, I think its non-sense. I see a less effort on establishing a good plot at the beginning on how come the aliens came to Earth. I mean, it could have been explained and narrated in a way that it would compliment on the film's superb editing. At some point, I see the film contained on the oceans and skies. I expected more actions on the land too. Acting-wise, the film is quite solid although some bad acting skills and bad dialogues are found on the film. Taylor was good in the film althoug he could do a lot better than that. Rihanna is fairly good too. I really can see her to be the next Mila J. or Angelina J. in the future. I am just disappointed with Liam Neeson's role in the film. The Director lost grip to his character. I sometimes feel he is an extra on the film given the fact that he has vital role too in the story. The Director must hold a grip on every characters in the story so as to have a solid plot too in the end. Well, thanks to the film's editing and visuals, BATTLESHIP will still be one of the Most Expensive B-Movies that really needs a pretty good makeover on its Plot/Storyline. But hey, its still one of the best movies this year.